Today’s post is for new Cincinnati parents. It contains useful counsel about family dentistry, and caring for baby and toddler teeth. For infants, gently wash their gums with a piece of gauze or soft cloth. The ADA does not recommend any toothpaste for infants. When your child is three, a pea-sized amount (but no more!) is recommended. Young children rarely spit after you brush their teeth, they swallow. When your child’s teeth start to erupt, you can use a very soft brush to softly wipe away food and liquid left on the teeth after feeding. The American Academy of Pediatric Dentistry recommends that parents take their child to a dentist before their first birthday, or when their first tooth appears. 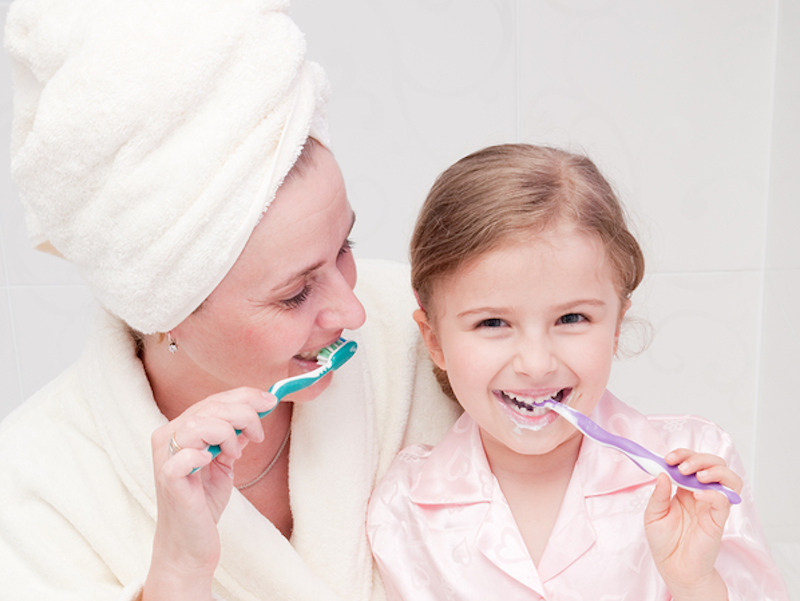 This is vital for their oral health and also to help them become relaxed with a dentist from an early age. First, call your dentist to make an appointment. Some practices will let you come in without a pre-scheduled appointment for dental emergencies. Rinse the sore tooth and surrounding gums with warm salt water. Don’t put aspirin directly on the tooth. If your child will let you, use a cold compress on the outside of the cheek to relieve swelling. You can give your child acetaminophen unless your pediatrician advises against it. Have your child get their first dental check-up before their first birthday, or when their first tooth appears. Have your child get a dental check-up every six months or more frequently if your dentist advises. Consume acidic foods and beverages with meals to safeguard enamel. If your child grinds his/her teeth, seek advice from your dentist or pediatrician. Make sure your child has a healthy diet with all the required vitamins and minerals. If your child has special medical conditions, seek further direction from your pediatric dentist. If you have severe tooth decay, seek additional guidance from your pediatric dentist. Follow your dentist’s guidance regarding dental sealants. Monitor your child’s tooth development and see your dentist if anything appears unusual. Protect your child’s teeth with a mouth protector when they start participating in sports. Model proper dental hygiene every day. Your example is vital. No. Modern dental x-rays are extremely safe when proper procedures are followed. The diagnostic benefit greatly outweighs the almost non-existent risk of detrimental radiation exposure. No, this is normal and does not necessarily mean their permanent teeth will be spaced too far apart. Endres Gateway Dentistry in Cincinnati treats patients of all ages with our family dentistry. We also offer cosmetic dentistry, and treat conditions like gum disease. We treat patients from Loveland and Montgomery, and all through the area. Schedule an appointment with us today.